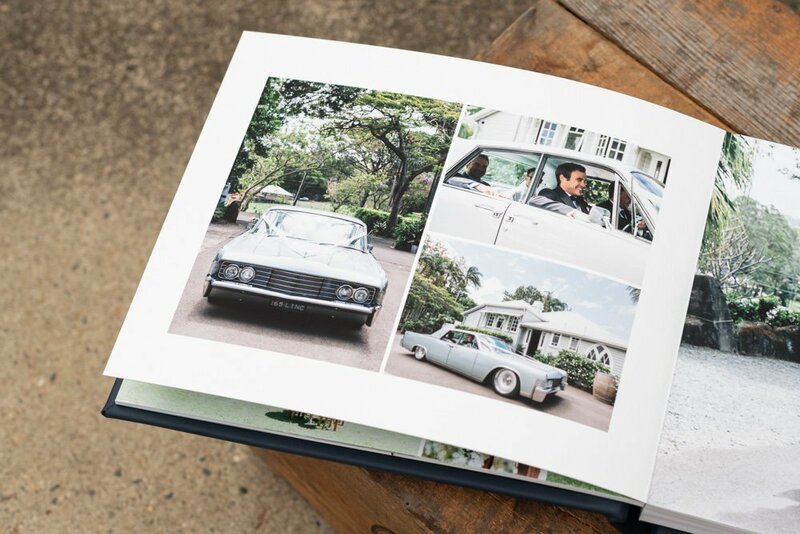 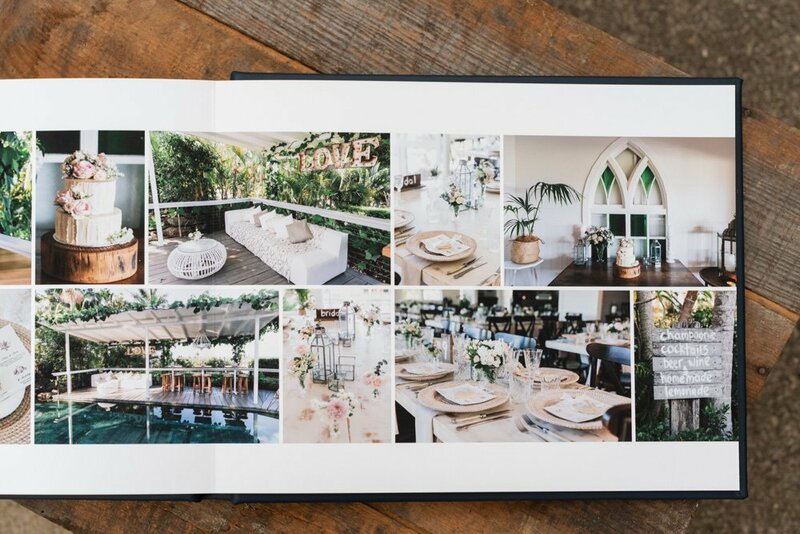 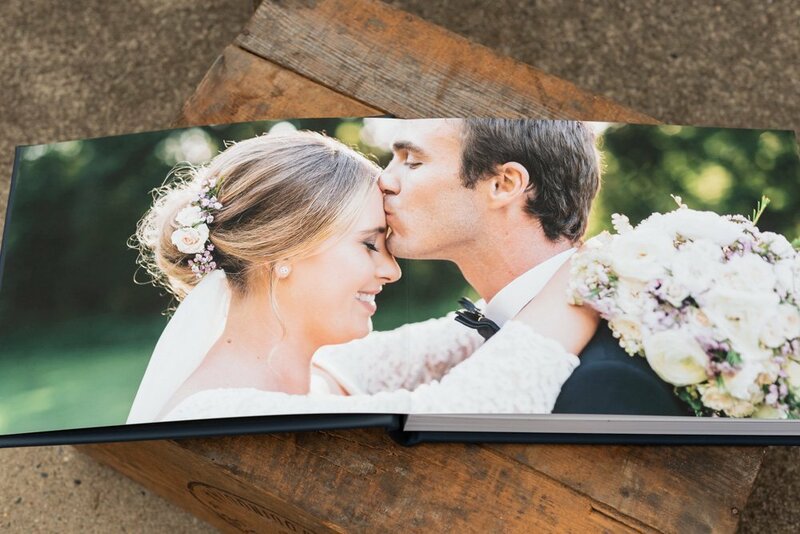 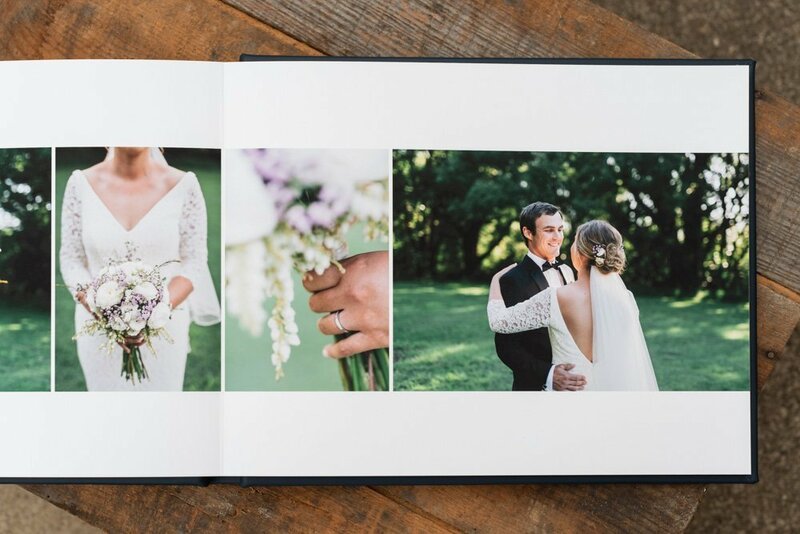 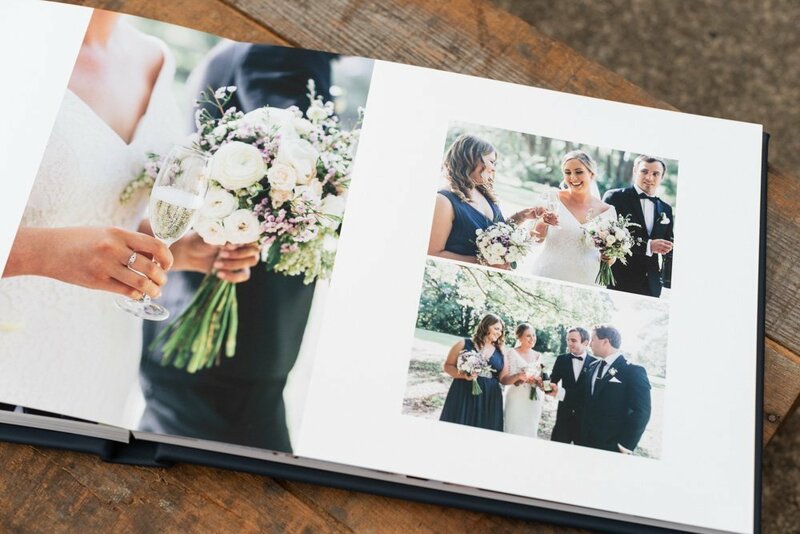 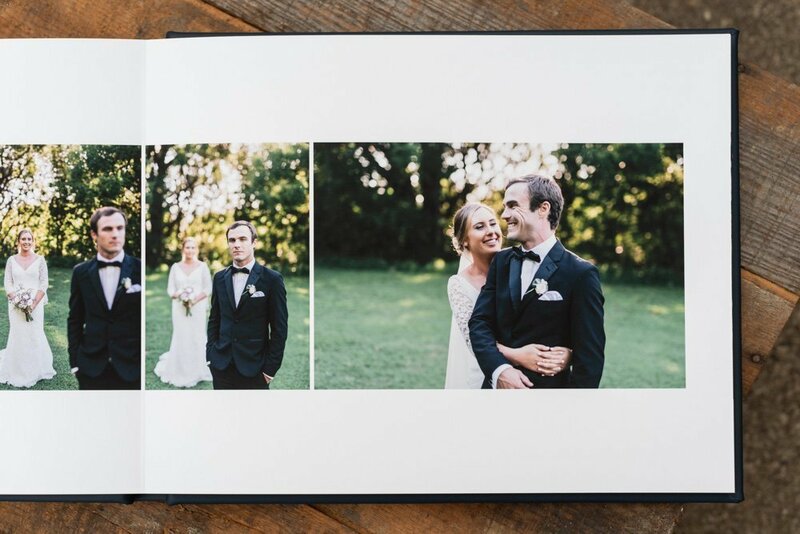 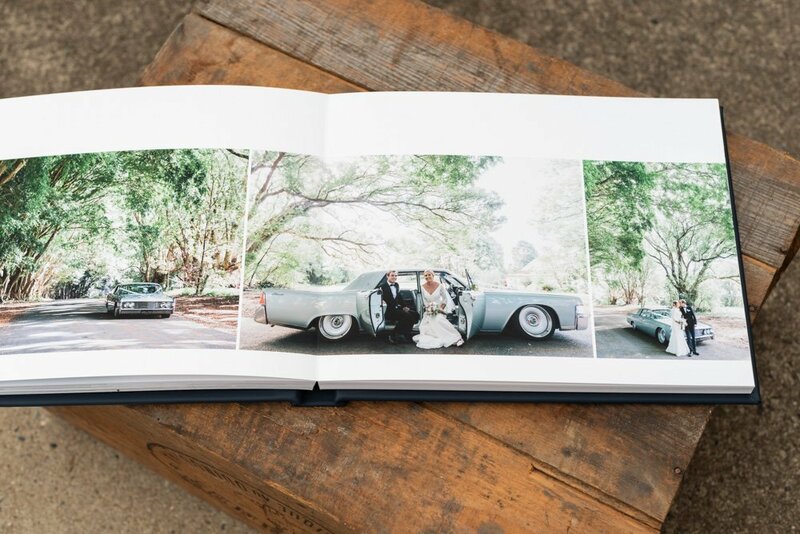 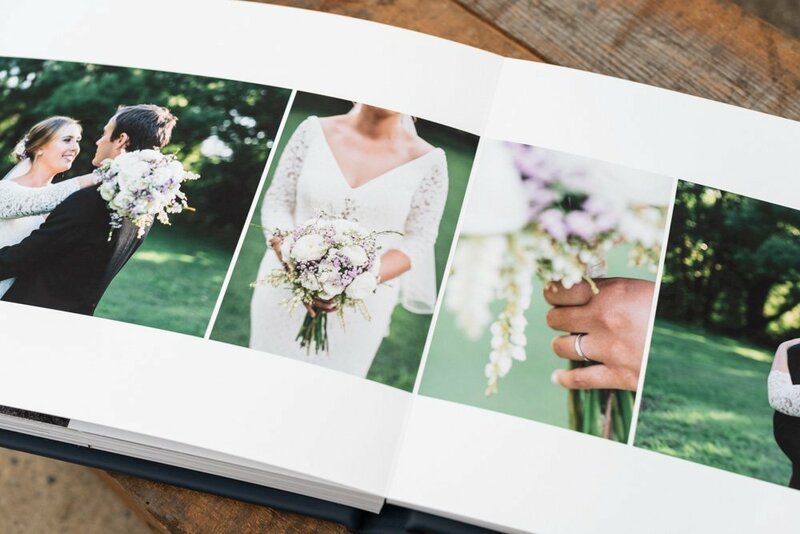 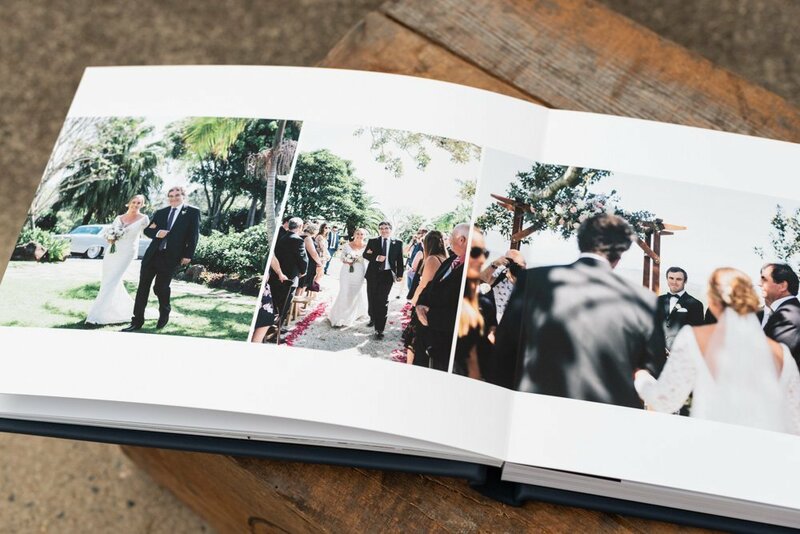 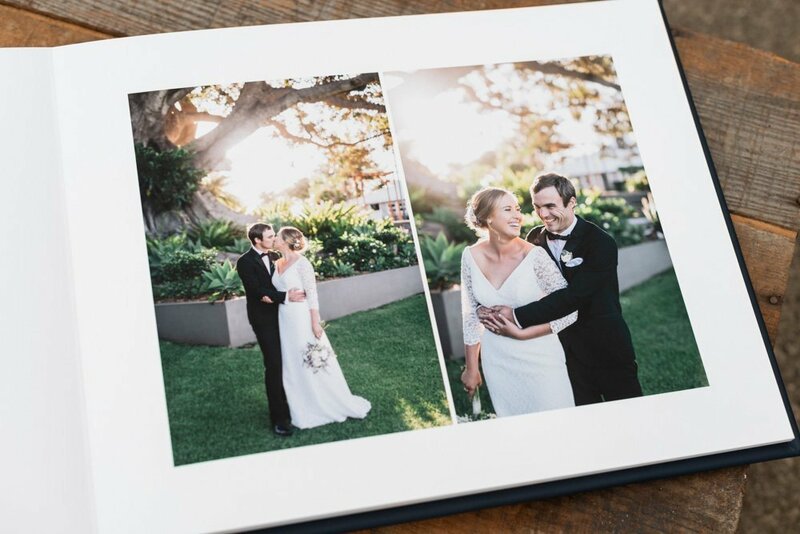 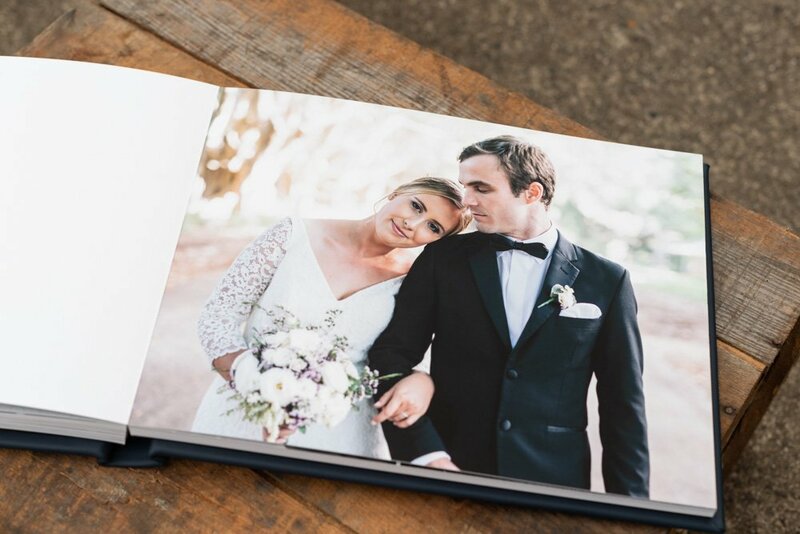 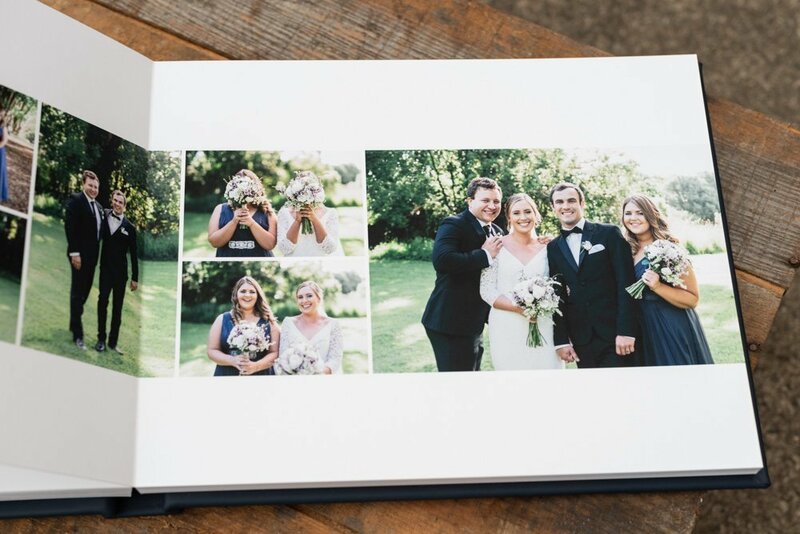 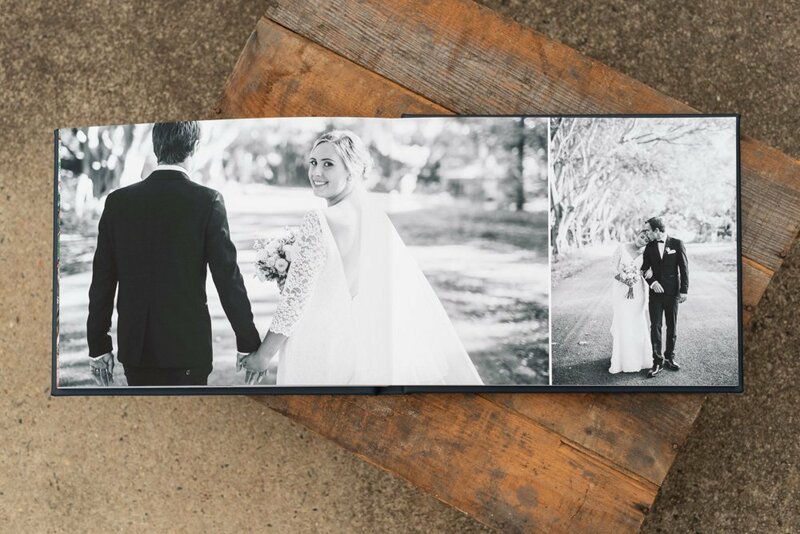 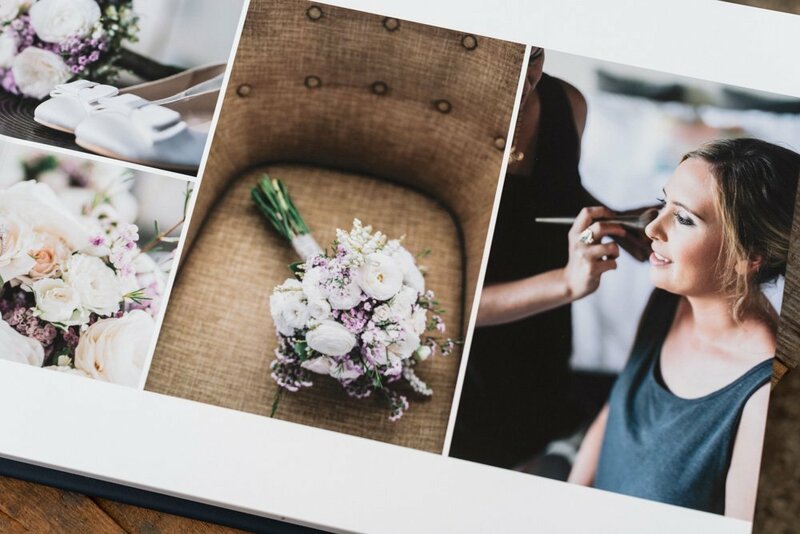 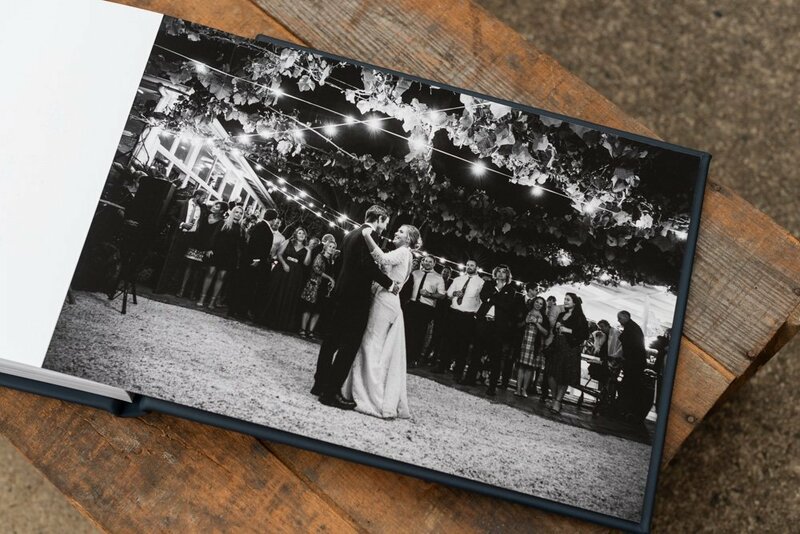 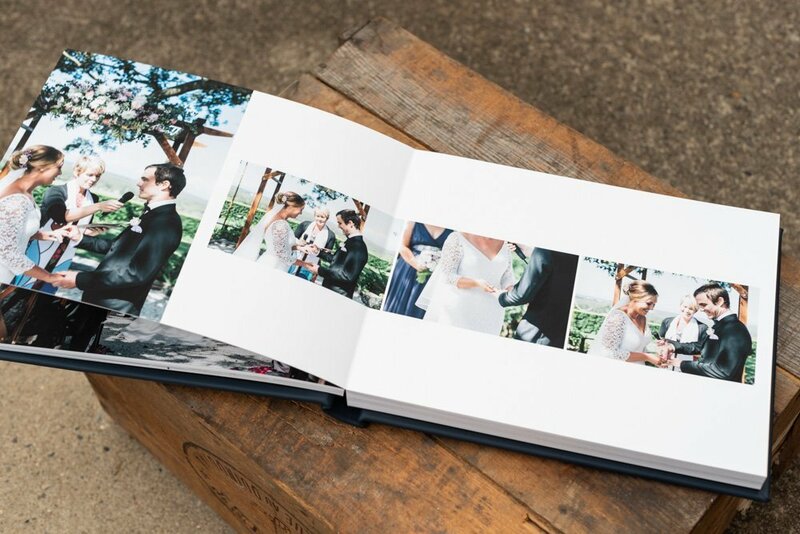 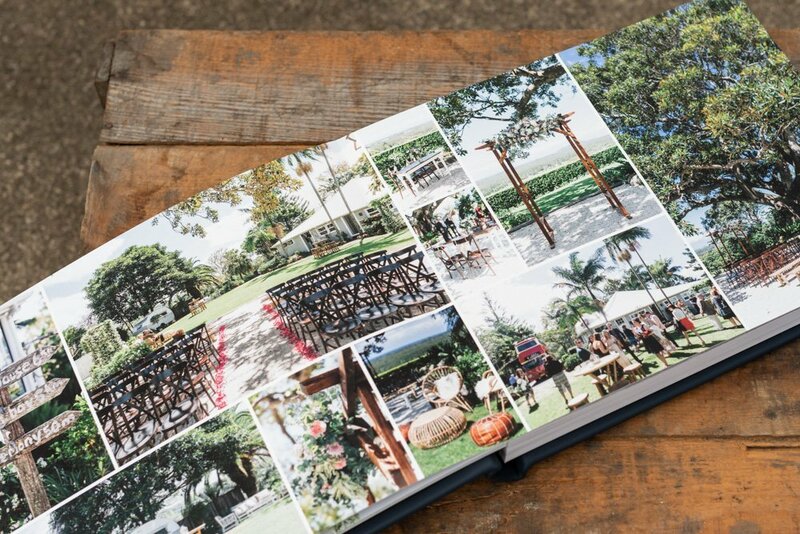 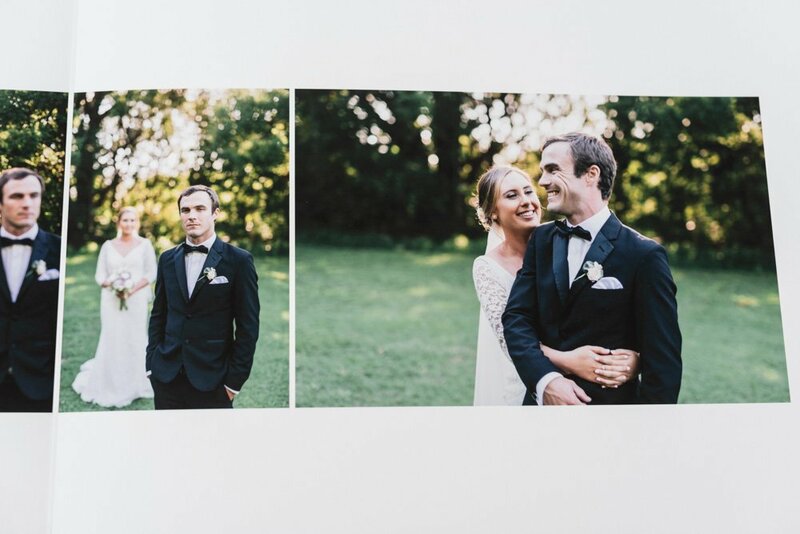 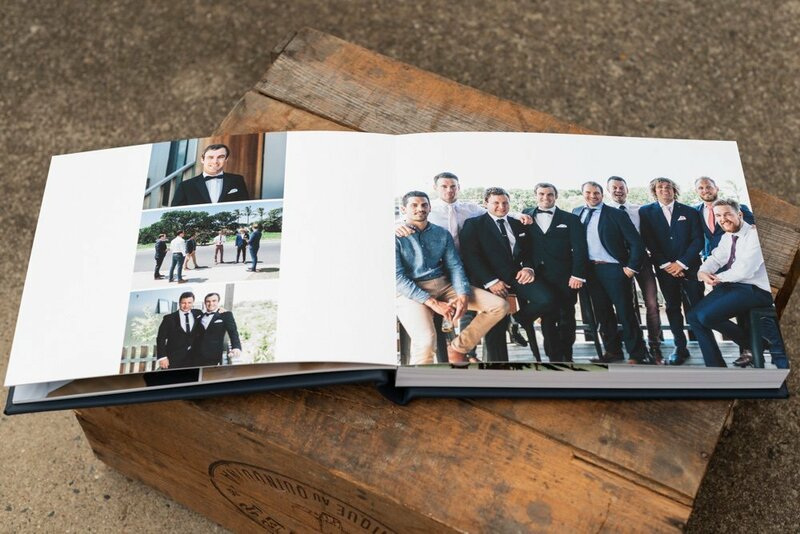 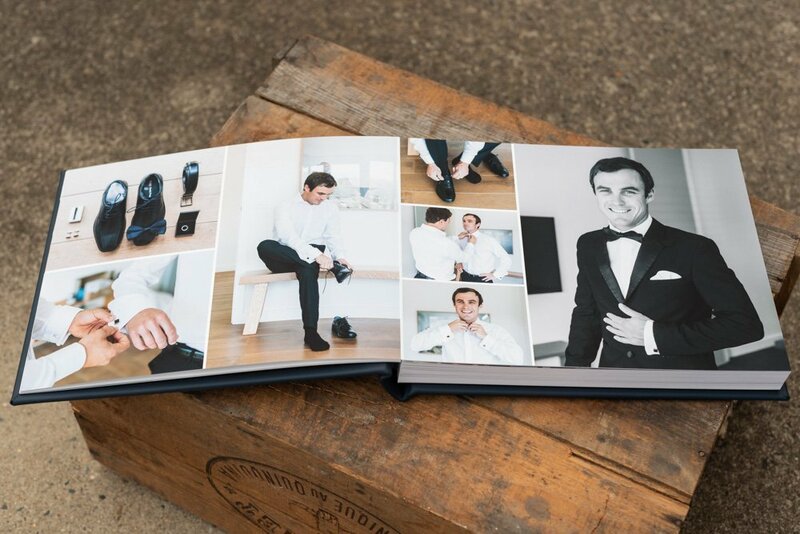 This Sydney couple’s gorgeous destination wedding in Byron Bay has printed beautifully in our 14×11 horizontal leather wedding photo album. 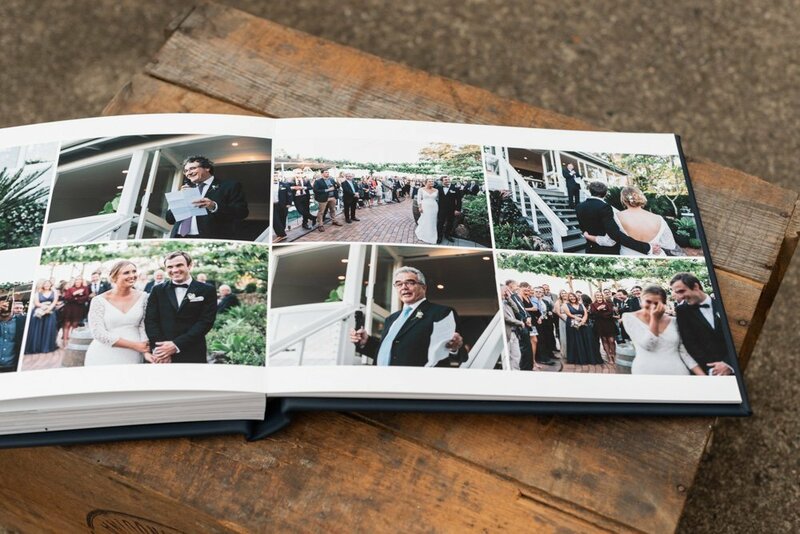 The popular navy blue leather cover ties in beautifully with the spectacular seaside location of this stunning Byron Bay wedding. 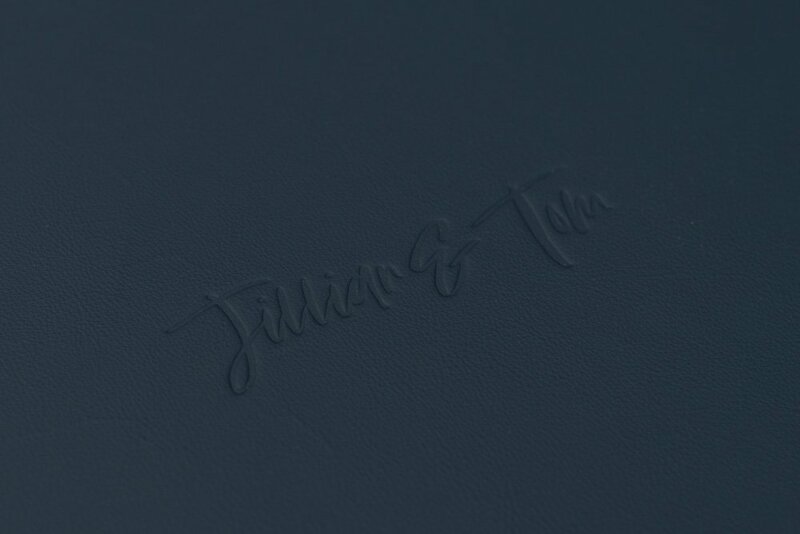 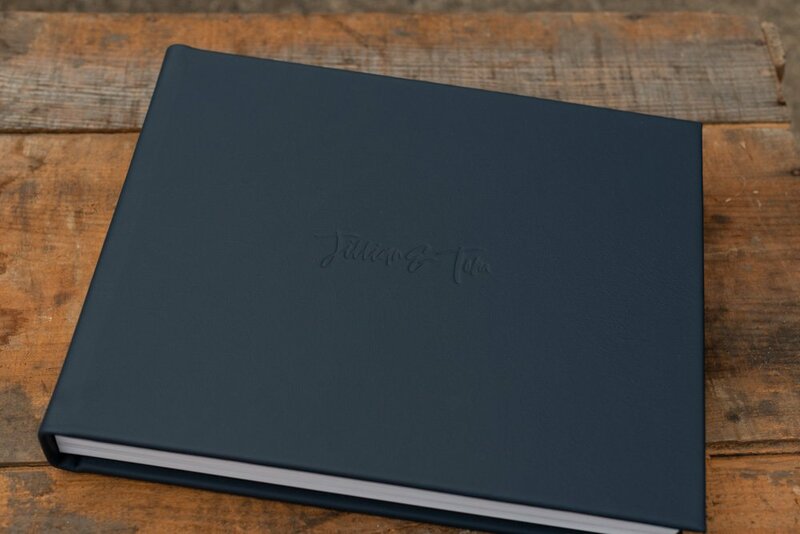 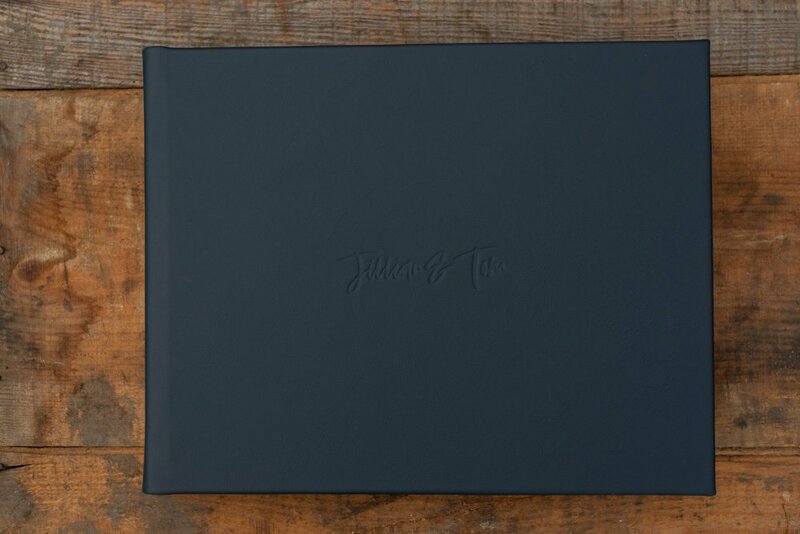 The wedding photo album cover has been personalised with blind (clear) embossing. 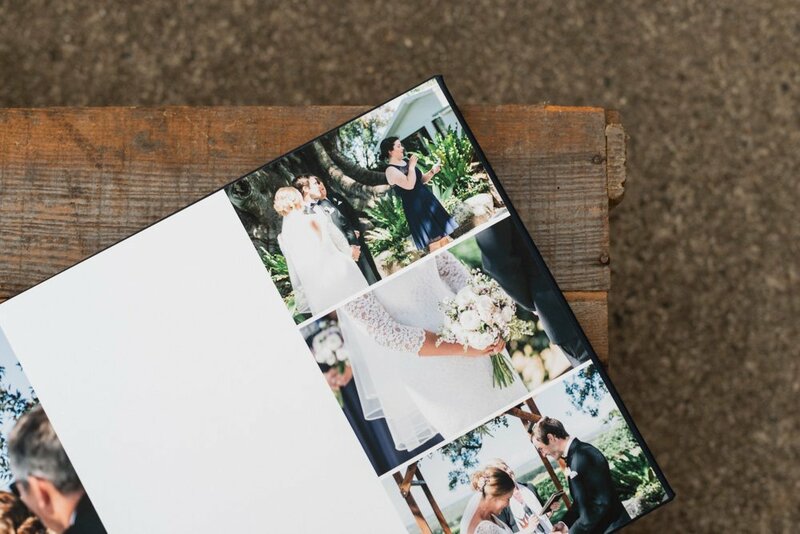 The pages are a lay-flat style and fine art paper with a matte finish that just prints beautifully. 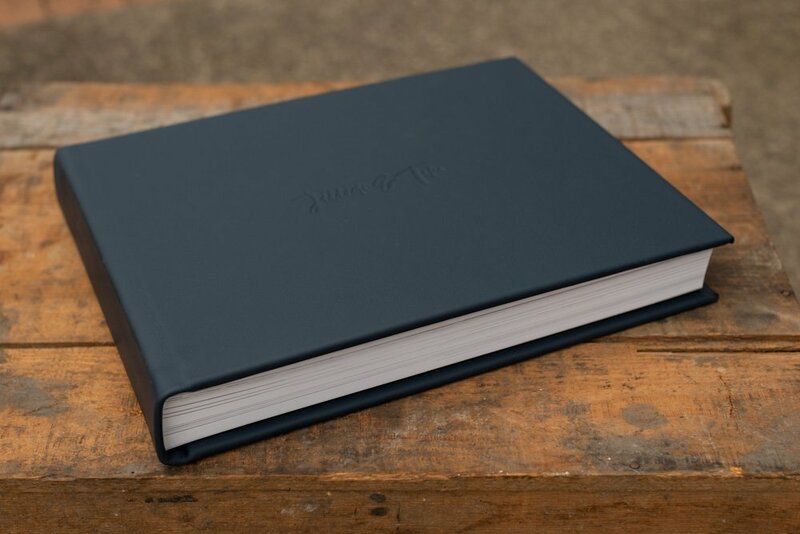 The printing is done using archival inks. 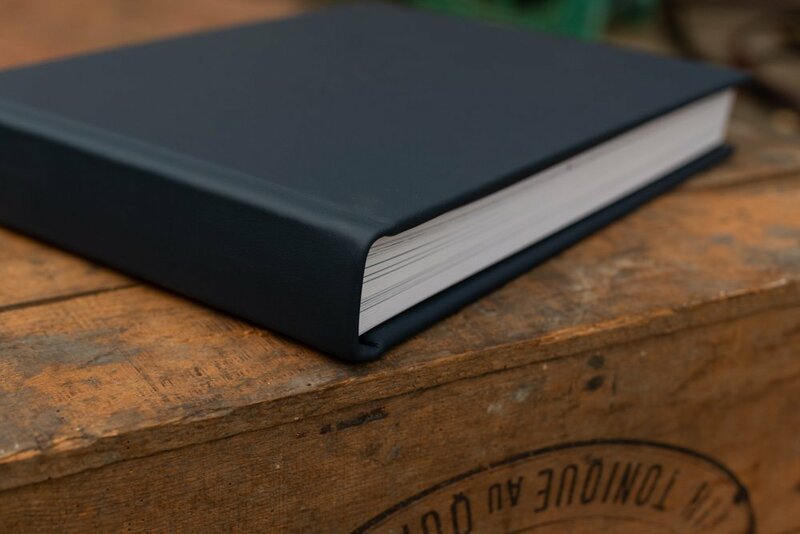 Quality materials are used to hand-bind the album to last throughout the years. 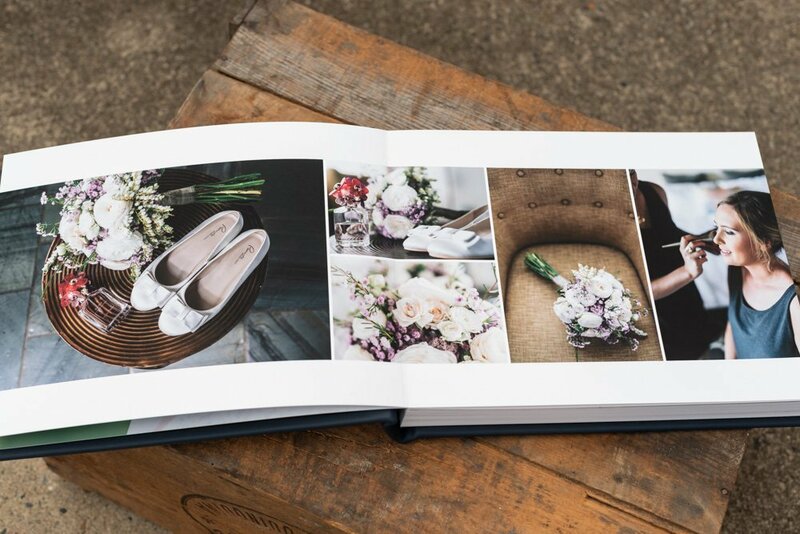 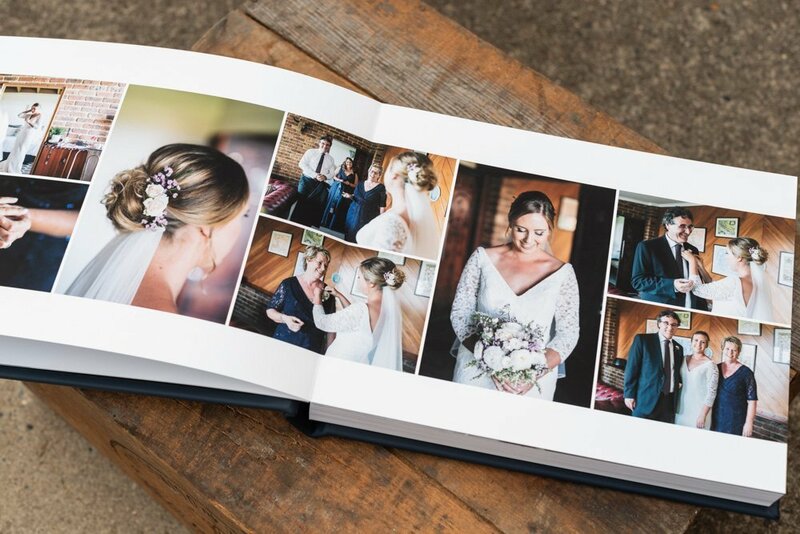 Our contemporary designs let your professional photographs take pride of place to tell your love story as you turn the pages. 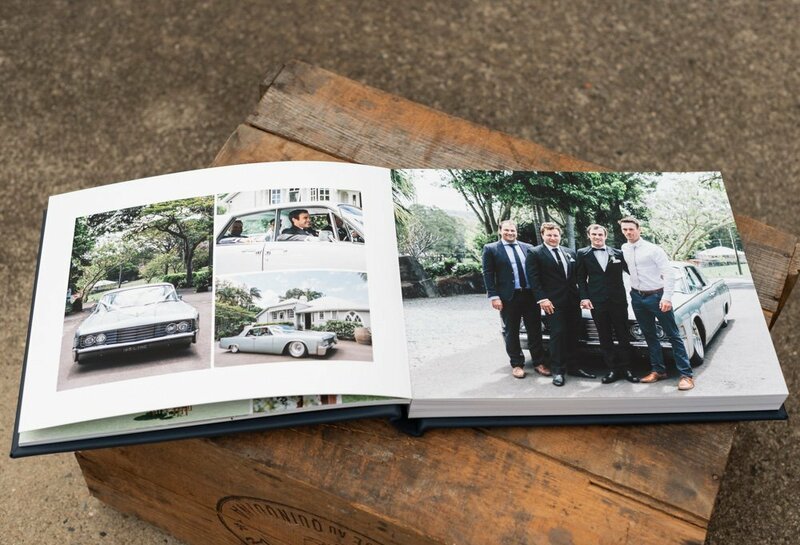 The finished wedding photo album was 33 spreads (66 pages) and below is just a sample of some of those page designs.